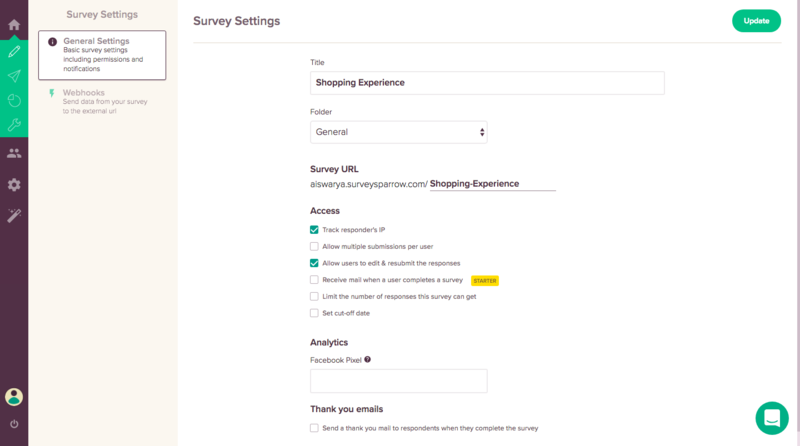 Create an online survey by choosing a template, add/edit your questions, configure the settings, and share with your targeted audience. You want to create a conversational survey? Whatever be your requirement, we have all the tools and plenty of choices to make your survey creation a smooth process. This article will tell you how to go about it! Once you log into your SurveySparrow account, you will be automatically directed to your Home page. 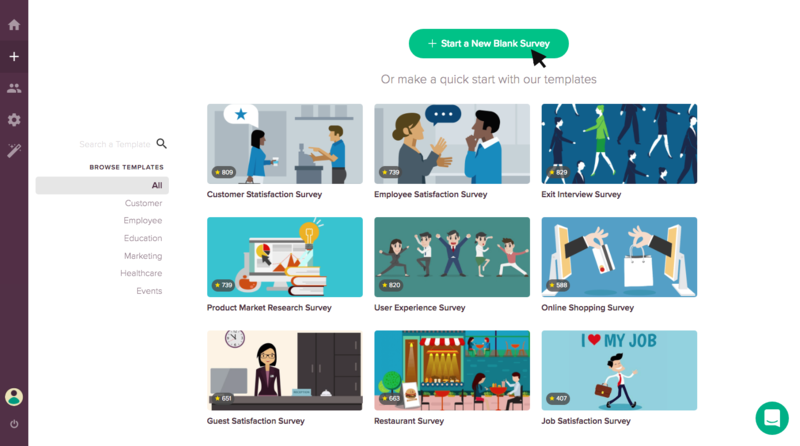 Click on 'Start a new survey'. 2. 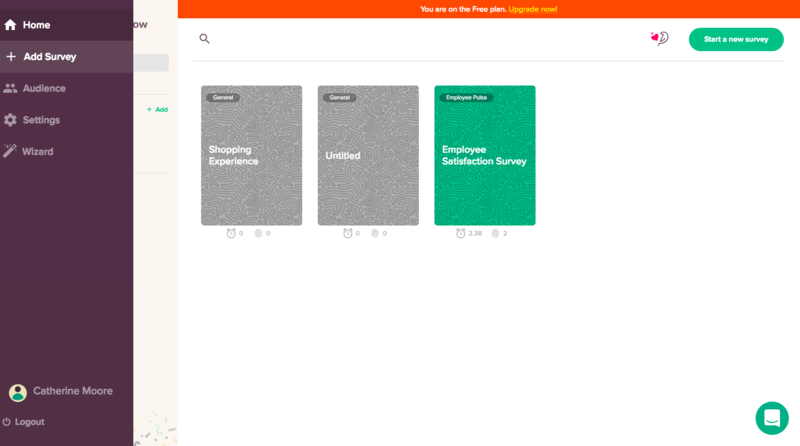 Now either start a blank survey or you can use one of our tried and tested templates. If you are choosing a template, the questions will be auto-filled, but you can always edit, remove or add them. 3. 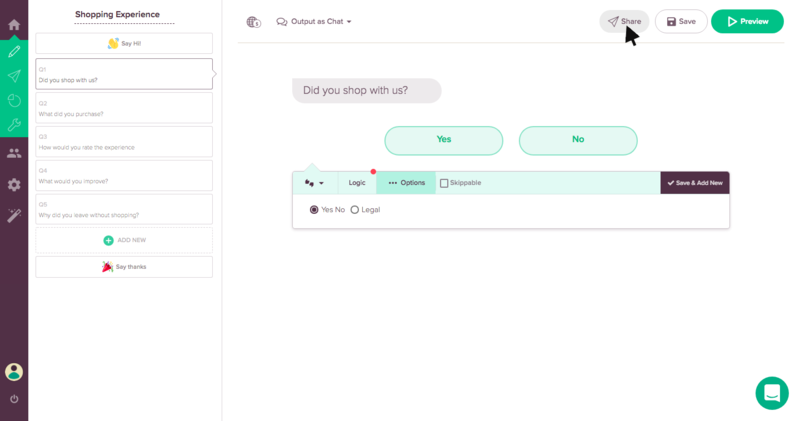 Once you select the template for your survey, you will be directed to the Builder Page where you can create your survey. 4. Start by adding a title to your survey by clicking on the Title icon present on the top-left corner of the page. 5. Add the intro message by clicking on the Intro icon present in the center. You will be provided with the options to insert a greeting message to your respondents. 6. Click Next to proceed with adding questions to your survey. 7. Share your survey by clicking on the Share icon on the top-right corner. 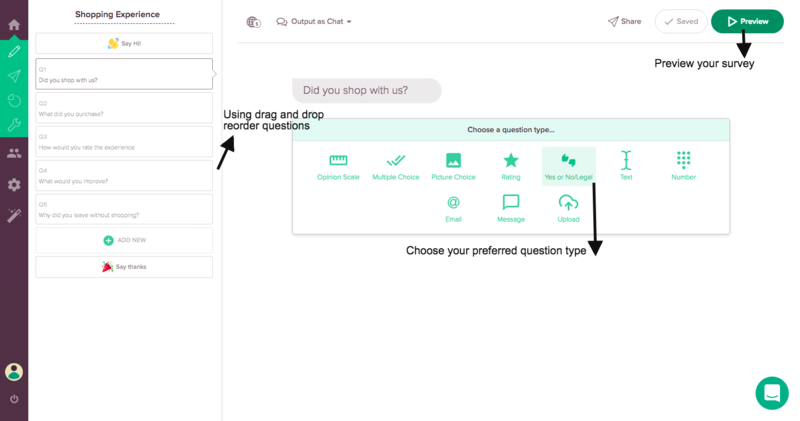 a) Add/remove your survey questions to the template and reorder the questions using the Drag & Drop feature. b) Choose among the many Question Types to determine the kind of question you want to ask. c) Preview your questions in your survey by clicking on preview icon. d) You can change survey settings by clicking on the Settings icon. 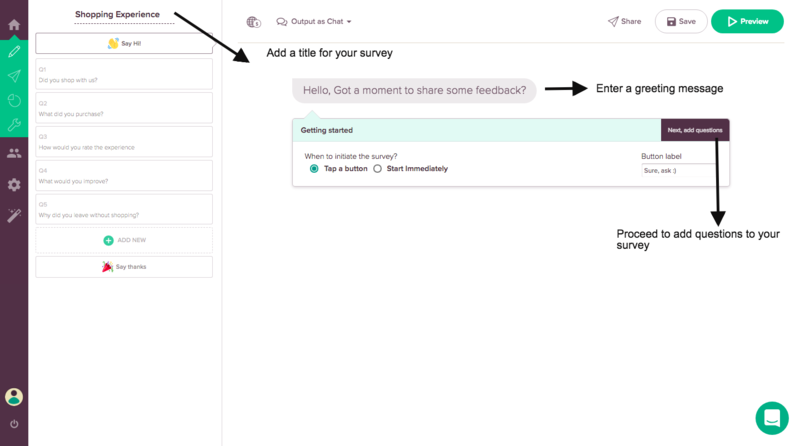 You can set the Cut-Off Date, change Title, Track Respondents IP, Receive mail when a user completes a survey, Allow users to edit & resubmit the responses, integrate with Facebook Pixel, send Thank you e-mails and organize your survey using this option. P.S. All changes that you make in your survey will be saved automatically.